The holiday hostess’ best friend: a superb quick bread made from pantry ingredients and boxed cake mix. Whip it up when you have surprise guests drop by, or bake a few loaves for a homemade gift everyone will love. What kid—or adult—doesn't crave a slice of fresh-baked chocolate breakfast bread? This moist quick bread recipe uses ingredients (and surprise—pumpkin!) you probably already have on hand and is perfect for an afternoon snack! Preheat oven to 350°F. Grease a large loaf pan. In a large bowl, mix together cake mix, pumpkin, applesauce and egg until smooth. Blend in chocolate chips. Pour into loaf pan and bake for 50 to 60 minutes until knife inserted in center comes out clean. Remove from loaf pan and let cool on wire rack. While bread cools, mix together the butter, powdered sugar, milk and vanilla for the icing. Drizzle icing over the top of the cooled bread. Tip: Out of eggs? No problem. Omitting the egg will result in a denser, but still delicious, loaf. 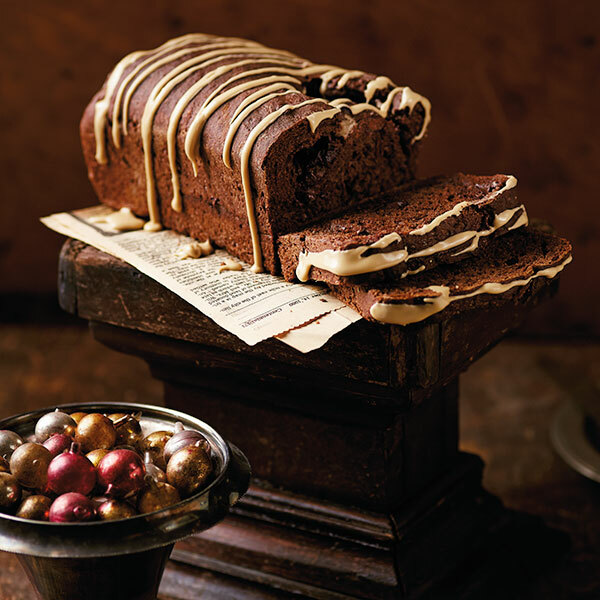 Change this chocolate bread into pumpkin bread by substituting spice cake mix for the chocolate cake mix and cinnamon chips for the chocolate chips.